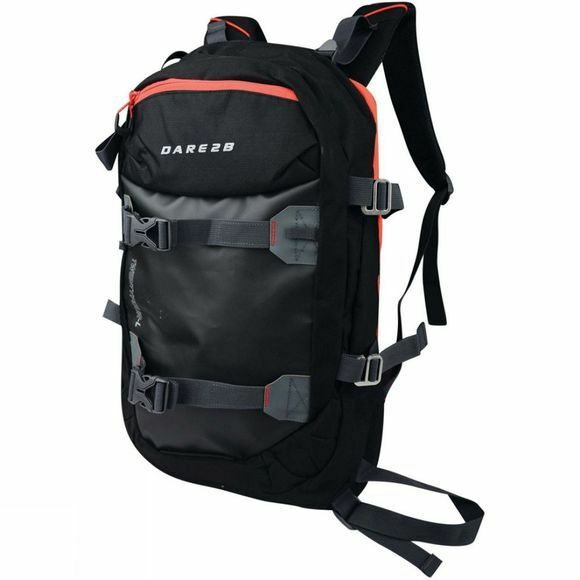 The Kros 24 Backpack from Dare 2b is a 24-litre capacity rucksack. Fully featured with straps for carrying skis or a deck, jacket, or other gear. Internal hydration bladder with drinking tube. Easy-access water bottle pockets and a lots of compartments pockets for organisation. Adjustable straps and hip belt to stabilise the load.